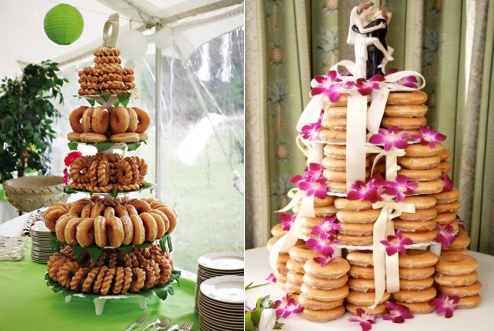 Are doughnut wedding cakes the new big thing? It's been said since 2010 and before, but maybe now for real? Related: I love this wedding cake. Also related: Haters be damned, doughnuts are a fantastic trend! Oh, hi. Have you ever been to a secret recipe potluck? Sparkling desserts with Pop-Rocks...my kind of roundup! Road trip to Berlin to eat cupcakes. I want that to be my life! Ever heard of a snitter? Sounds refreshing: Pimms Jelly with Cubumer Sorbet! Important life skill: how to make a candy salad. Crullers, a recipe, and a mystery. Curious about the secret life of a cake spy? Read this interview!